"If Mike Bloomberg announced tomorrow that he was a candidate, I would say, 'I'm for him,' and I think he would be a very good president…He and I disagree on some things, but I think that he knows how to run things. I think that he's got the right goals for America, he understands people, he understands the market system, and he understands the problems of people that don't fit well into the market system." "I'm not a card-carrying Democratic, but I never have been…I've voted for a fair number of Republicans, I've given money to Republicans." "My decision doesn't depend on what other people are going to do…My decision depends on whether or not I think I can make a difference." 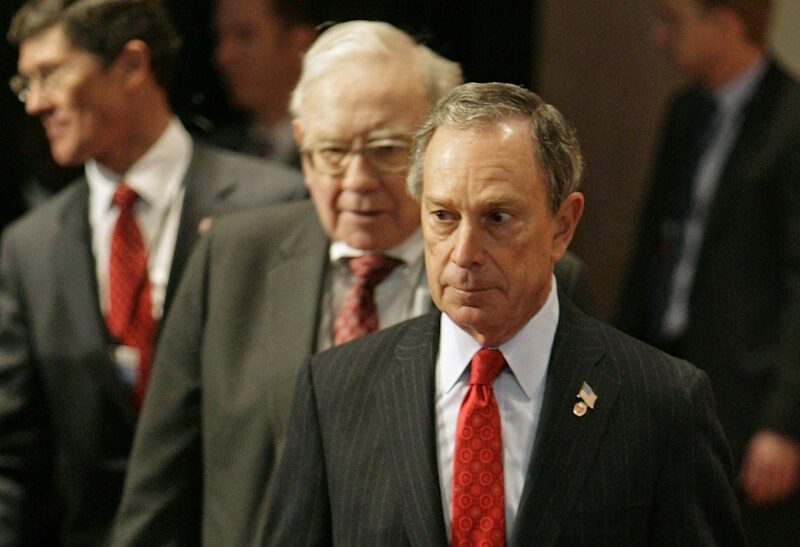 If true, that means that Buffett's endorsement probably wouldn't convince Bloomberg to run – but it probably didn't hurt, either.